We all know that the vast majority of America’s veterans return home and go on to find good jobs, build strong families, and keep on serving our country in their workplaces, congregations, and communities. But we also know that today, in cities and towns across this nation, there are men and women who wore America’s uniform in wars as far back as Vietnam and Korea — and as recent as Iraq and Afghanistan — but don’t have a roof over their heads. For too many years, the conventional wisdom has been that veterans’ homelessness is an impossible problem — too big and entrenched to ever really solve. We disagree — as do our husbands. That’s why, in 2014, we launched the Mayors Challenge to End Veteran Homelessness, and since then, more than 800 city and county officials have committed to ending veteran homelessness in their communities. Here in Philadelphia, officials and advocates have worked for months to track down every homeless veteran in this city, get to know each of them by name, and collaborate with landlords to quickly find permanent housing for them. And today, Philadelphia has fulfilled its commitment, proudly announcing that this city has ended veteran homelessness and can quickly provide permanent housing for any veteran who becomes homeless in the future. In doing so, Philadelphia joins cities across the country — including Houston, Mobile, Syracuse, Las Vegas, and New Orleans — as well as the entire state of Virginia. Together, they have shown us that ending veterans’ homelessness isn’t just our moral obligation, it is a realistic, achievable goal, if we summon the will and devote resources equal to the task. That’s what President Obama and Vice President Biden have done since they first took office: They have made veterans’ homelessness a government-wide priority, cutting through the bureaucracy and devoting record amounts of funding and resources to house our veterans. The results have been dramatic: Since 2010, veteran homelessness has decreased by 36 percent, and we’ve housed nearly 230,000 veterans and their family members through government housing vouchers and homelessness programs. But while we’re making important progress, we believe that one homeless veteran is still one too many. Our veterans have risked their lives for our country, and when they don’t even have a place to go when it rains, that is an outrage and a stain on this nation. Our work will not be finished until every veteran has a place to call home and every community has the tools it needs to keep veterans from sliding back into homelessness, so we urge other cities to follow Philadelphia’s lead. And as we approach the fifth anniversary of our Joining Forces initiative — a nationwide effort to rally all Americans to recognize, honor, and support our veterans, troops, and military families — we plan to keep working with state and local officials, landlords, advocates, and others to help all veterans find safe, affordable housing in their communities. But government can’t do this alone. We need businesses, nonprofit organizations, faith communities, and others across the country to pitch in as well. City by city, state by state, we have plenty of work to do together to solve this problem. And of course, ending veteran homelessness today doesn’t mean that we’ll never see another veteran on our streets in the future. But it does mean that when a veteran experiences a housing crisis, Philadelphia — and other cities across the country — will be prepared to get them back into a home right away. That is the very least we can do to serve America’s heroes as well as they have served this country. 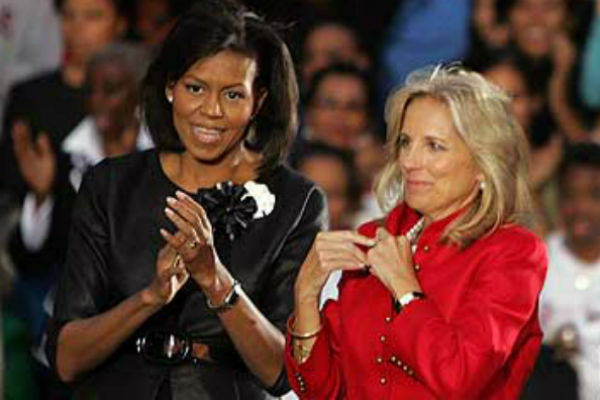 Contact First Lady Michelle Obama and Dr. Jill Biden via @joiningforces or www.joiningforces.gov. Philadelphia, December 17, 2015 — Mayor Michael A. Nutter, joined by Julián Castro, Secretary of the U.S. Department of Housing and Urban Development, announced that the City of Philadelphia has effectively ended veteran homelessness by ensuring veterans have access to housing and services. With this announcement, Philadelphia has met President Obama’s Mayors Challenge to End Veteran Homelessness by 2015. On December 15, the United States Interagency Council on Homelessness (USICH) notified Mayor Nutter that the agency had confirmed that the City of Philadelphia has the necessary systems, services, resources and housing inventory in place to respond quickly and effectively to prevent and end homelessness among the veteran population should those veterans seek help. The Mayors Challenge was issued by First Lady Michelle Obama. The City of Philadelphia collaborated with the Philadelphia Housing Authority, the Philadelphia VA Medical Center and other service providers in the region to accomplish this goal. This coalition of agencies is known as PhillyVetsHome. So far, PhillyVetsHome has helped 1,390 veterans and resources are available to help other veterans who come forward seeking help. Even MORE captured by HUD HERE! Share YOUR photos with us by using the hashtag #RallyForZero on social media! and don’t forget — if you couldn’t make it last Friday, SIGN THE PLEDGE and show your support! Didn’t make it to the #RallyForZero? Sign the Pledge! Commit to ensuring all of our heroes have a home. Sign the PhillyVetsHome pledge and declare your support to help End Veteran Homelessness in the City of Philadelphia! CLICK HERE TO SIGN THE PLEDGE! 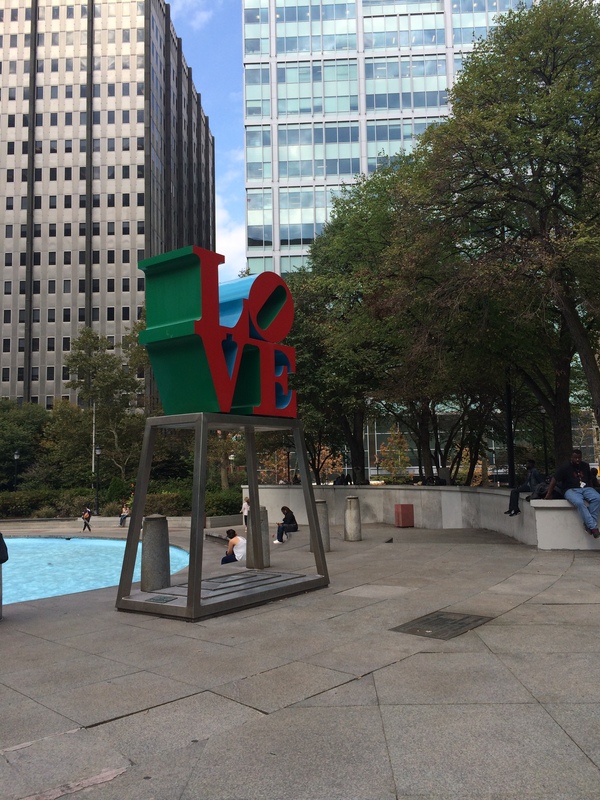 Meet us in Love Park today at 4:00PM if YOU are #ReadyForZero, too!! 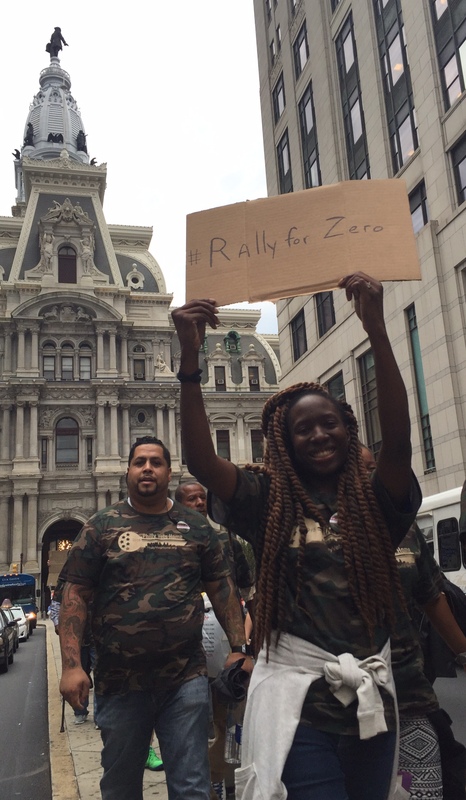 Tomorrow when we #RallyForZero, we will all wear camouflage t-shirts to symbolize the unity of our coalition and the often invisibility of an important and issue: Veteran Homelessness. As we gather in Love Park (16th & JFK) and march down Broad Street, we hope to bring Veteran Homelessness to the forefront and encourage the public to join us in this “homestretch” to Veterans Day! Are you ready to #RallyforZero? 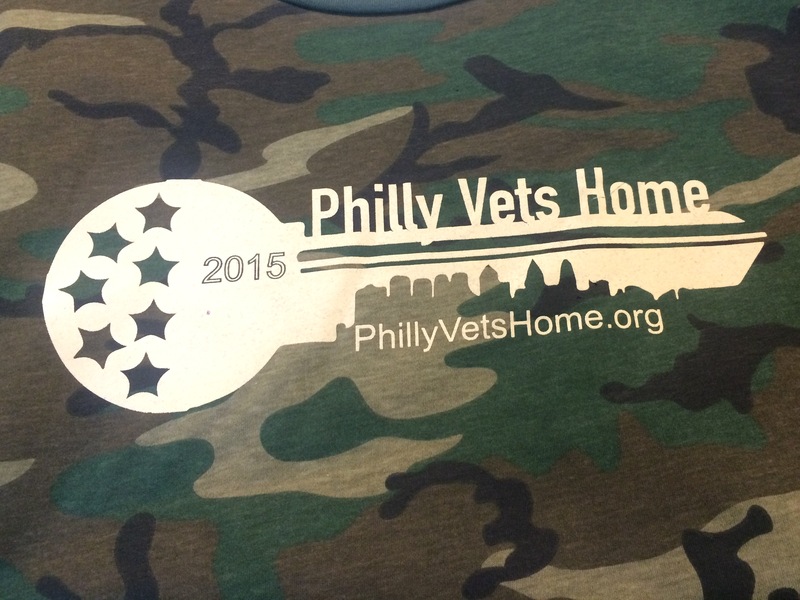 Philly Vets Home 2015 partners will be joined by community supporters as we embark on the final month of our journey to END VETERAN HOMELESSNESS in the City of Philadelphia! 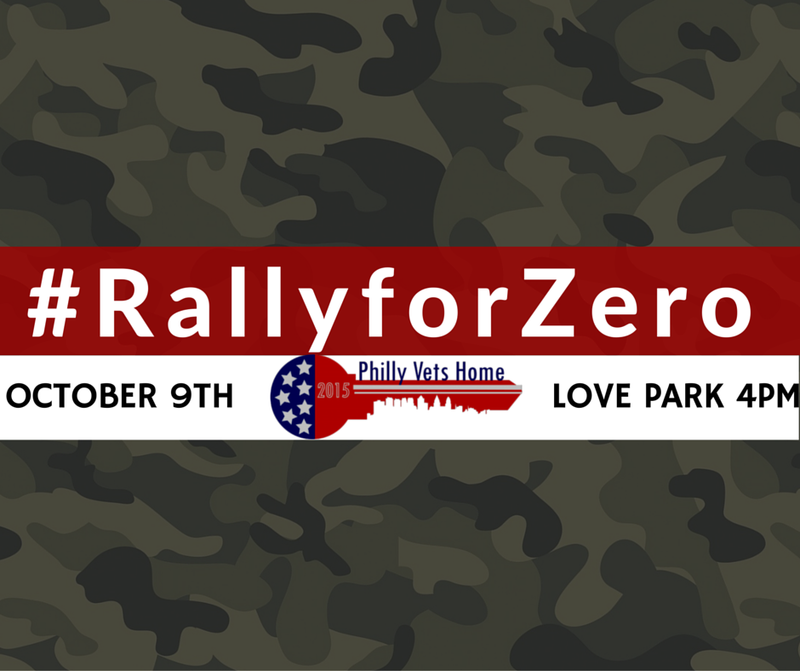 #RallyforZero is expected to gather hundreds of Veterans, advocates and members of the community in a demonstration of support. After a short program in Love Park, participants will march on Broad Street to raise awareness of the ongoing initiative. Will you join us and #RallyforZero?